Anna Pierce began her career with Niagara Helicopters at its inception in 1985 as a ticket sales associate. In 1987 she graduated with Distinction from Brock University with a BA in Business Psychology. She immediately accepted a full time position with Niagara Helicopters as Marketing and Operations Assistant. In 1997, Ms Pierce was promoted to the position of Marketing Director. She joined the Board of Directors for Niagara Falls Tourism in 2002. After serving as Chair of the organization in 2005, she accepted the position of Executive Director in 2006.Under her leadership the organization rallied from an extensive debt to a significant surplus in two short years. Having accomplished what she set out to do for the organization, Ms. Pierce returned to her roots at Niagara Helicopters in 2009 accepting a position as Vice President. 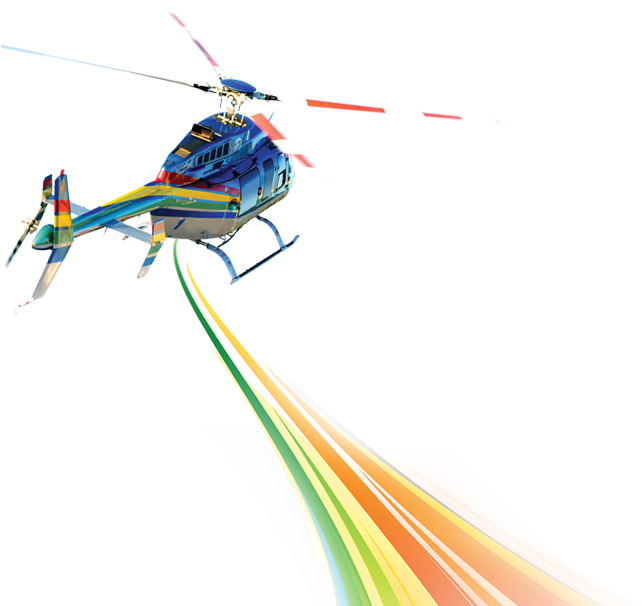 In 2011 the company was purchased by Helicopter Transport Services of Canada – one of the largest helicopter operators in Canada. Ms. Pierce was then promoted to Vice President and General Manager of the operation. Ms. Pierce has extensive knowledge in International Sales and Marketing having attended Travel Trade Shows and Trade Missions in the UK (including Scotland and Ireland), France, Germany, Spain, Japan, China, Korea, Mexico, and the United States since 1988. In the over 20 years of working in the Tourism Industry, Ms. Pierce has amassed a long list of contacts at all levels of Government as well as Tour Operators around the world.